On facebook I saw www.windsurfingfins.co.uk and there are a lot of things going on last 12 months. Also received emails from speedsurfingblog.com readers with questions about the finshop. So it was about time for a interview about this new service! 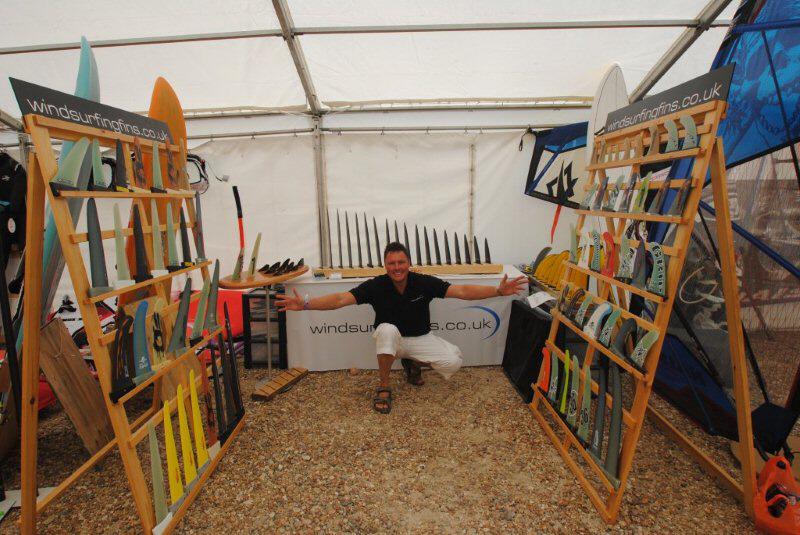 Why did you Start Windsurfingfins.co.uk? For years I struggled to get hold of high quality Windsurfing Fins, I found that most stores had a handful of old stock and were not knowledgeable enough in this area. On this basis I assumed that many other Windsurfing and Kitesurfers would have similar frustrations and Windsurfingfins.co.uk was born. Over the past 18 months we have worked hard to bring together 14 Fin Brands with a massive variety in price and design variation. Our web presence is now very strong and most searches for either product or brand will place us on the first page of Google worldwide. We have recently introduced our International Riders Team were a handful of experienced riders promote the importance of the Fin and are there for help and advise. 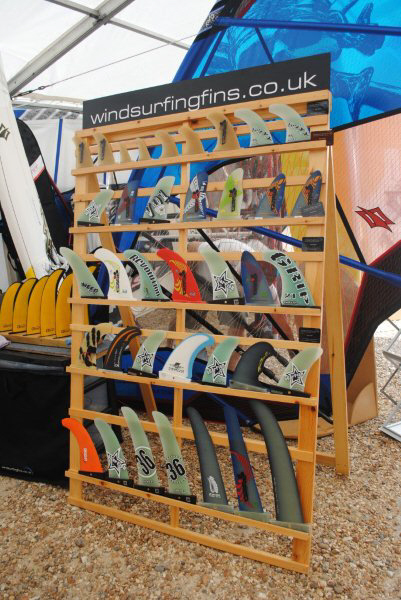 When I look at Windsurfingfins.co.uk there are many different fins for sale. How does it work and do you have most fins in stock? Most of our popular Brands are in stock, although with so much choice it is hard to get it right all the time. We order fins all the time and if a customer wants a fin we do not have then normally it will arrive within a few days. Some Fins are custom made which take longer to arrive but this is stated at the outset of the order before the customer pays. Not all Brands are quick to respond to orders due to location or bad internet connections. We have close working relationships with all our contacts. We send both email and text messages to ensure that our orders are dealt with at the fastest pace. Where do you deliver the Fins? Only UK, Europe or Worldwide? We deliver our Fins all over the world, We have recently shipped a set of Deboichet Custom R16 Formula fins to the Seychelles and some Kite Racing fins to Brisbane ,Australia. There is no limit to our destination. The majority of our orders come from overseas, mostly Europe I think that the Euro is better prices against the pound most of the year so this tends to keep the order from abroad. The UK market is a little slower but building this year. With so many fins it will be hard to choose. Can you give advice, is this based on personal experience or product information from the factory? Personally I have been a competitive windsurfer for the past 30 years. Over that time I have been involved in the production of fins and along the way been exposed to influential people like Curtis Hesselgrave and others that are very technically minded. Practically I test a lot of fins in the majority of situations. If I do not have the conditions I ask a member of our team to test and report back. I have made available size charts where possible to give the purchaser a little input in the decision making process. Select-Hydrofoils are very good at this with their range of fins, and it is easy for a customer to look up his recommended fin size in a given design. A lot of clients ring me for a chat; we answer 7 days a week both during and outside of office hours. I generally find that there is a price point and then advise on a suitable Brand, Shape and size within this. Fins are a very personal choice and we all sail in a slightly different way, so it can be a little hard sometimes, but invariably the customer can decide and made a decision. You told me about the close co-operation with Curtis. I already see 3 interesting fin designs which can only be found on your website, can you tell me ,more? I was introduced to Curtis by Henry Szeto from Macro Polymer. A very highly educated individual with a Masters in Composites. 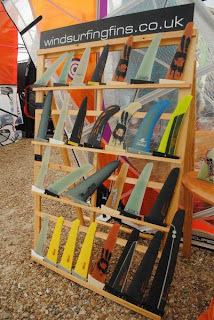 We collectively design and produce Fins under both the ‘’Curtis Racing Fins’’ and G-Fins Brand. Curtis was recovering from a stroke which was induced from an accident in a Karate class he was attending. We have worked together since then to produce a range of Slalom Fins made utilising a vacuum infusion process. They have been popular with the European market. Further to this Curtis has had various successes with his Kite speed fins made for Rob Douglas who produced 55.48 knots in Namibia Nov 2011. (See our Articles section). Taking this success further Curtis has collaborated with Kean Rogers to produce the ‘’Speedfire’’ fin which is the latest in the line. All of the current Curtis fins can be made to order and are individually CNC machines in the USA from military grade G10.